The luminaires of the ESB series are specially designed for illumination with high uniformity of information sines, advertizing panels,and billboards with different sizes. The luminaires is effective for illuminated on facades of buildings or adjoining areas and other facilities situated outdoors depending on the architectural projects. 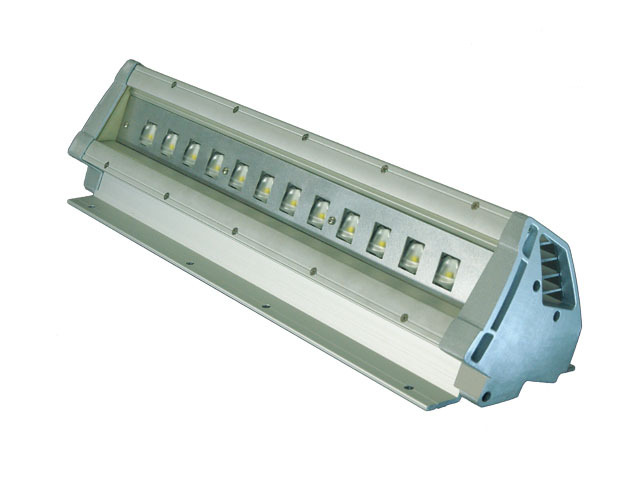 The hermetic luminaires of the ESB series can be used with success for indoor lighting projects for industrial sites.The simple compact design with built pre-set directional corner, combined with excellent thermal performance ensure long lifetime of the luminaire even in harsh weather conditions and contribute to the excellent characteristics of the illumination of the work surface. * Note: Luminaires ESB10 and ESB20 type can be produced with power supply 110VAC and 220VAC. Way of ordering ESB series - HERE. Way of ordering ESBH series - HERE. Way of ordering ESBdc series - HERE. Way of ordering ESBHdc series - HERE. Way of ordering ESB12dc series - HERE.